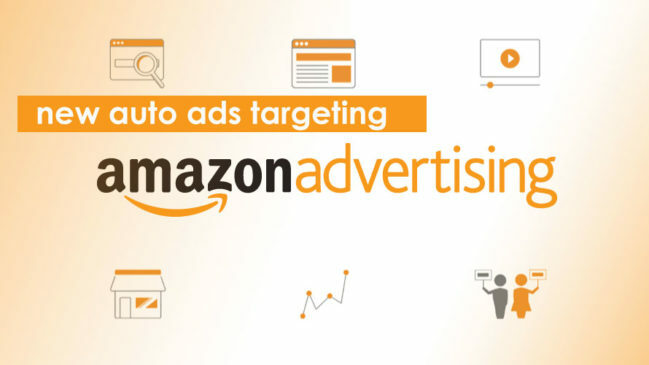 Amazon’s sponsored ads new feature for auto campaigns allows sellers to target products without any research, and its a great move as it eliminates the need to spend hours of your time learning! What new targeting options are available? Close Match: This option will show your ad in search results when your ad closely matches what the shopper is looking for. In the example below, the close match has a better ACoS compared to the loose match, but we have seen it the other way round as well. Tip: Lower bids if one of them is not profitable, or pause if cost is not controllable. 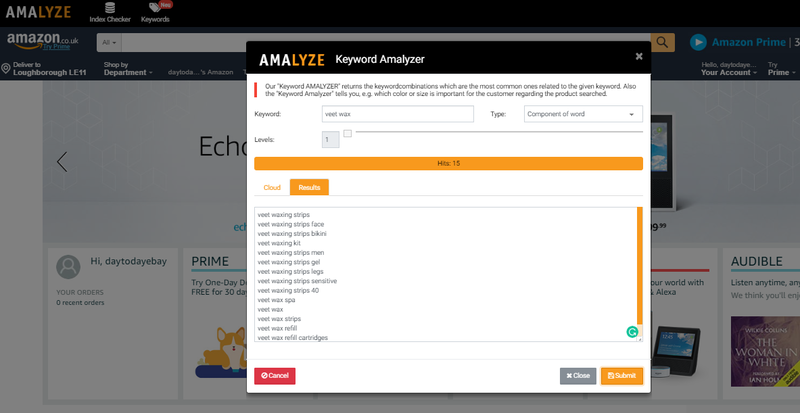 Also, add negative keywords that are not converting, this will help reduce wasted spend; you can get this data from your “search term” report. Loose Match: This option allows your ad to be shown in the search results if your ad loosely matches what the shopper is looking for. In this example, the ACOS is beyond 100% so, you would pause this option unless you want to see if this lowers when adding in negative keywords. Substitutes: This option shows your ad on the product detail pages of products that are substitutes of yours. In this example, the outcome is good and profitable, with an ACoS of below 10%. Tip: Up the bid to ensure your product is appearing continuously, but watch ACoS closely to ensure it doesn’t creep up due to the increased bid. Complements: This option shows your ad on the product detail pages of products that are complements of yours. In this example, conversion cost is double that of substitutes. If you’ve just started selling your product on Amazon, it is perfectly fine to run campaigns with a high ACOS but eventually, this needs to be stopped as it won’t be profitable. Whatever the results above, automatic targeting is a great way to get your campaigns started as it automatically targets your ads to shoppers based on keywords and products. Plus, with the capability to now adjust these targeting options within the campaign manager, you are now more in control. Be sure to use negative keywords to prevent your ads from appearing in irrelevant search results or on irrelevant detail pages. You can find negative keywords from your “search term report” as seen below. 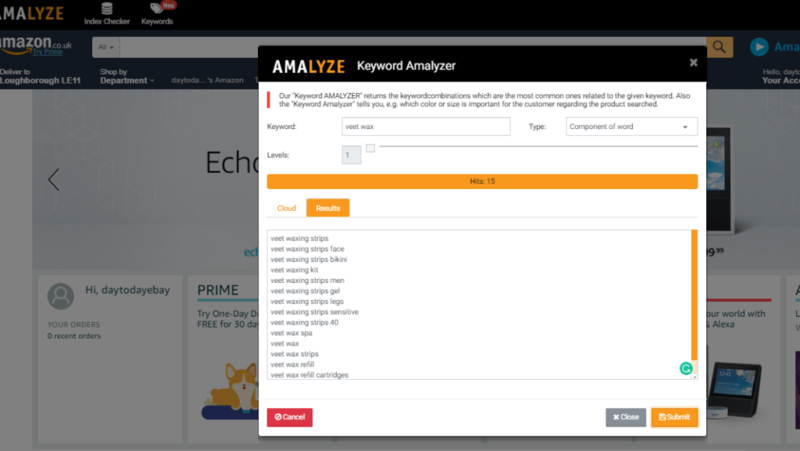 Once you get your report you can view “0” sales and find out which keywords are of high cost but not converting, and add them as negative keywords, if appropriate. Let us know how you find using Amazon’s new auto-targeting features. We are UK based Amazon Consultants. 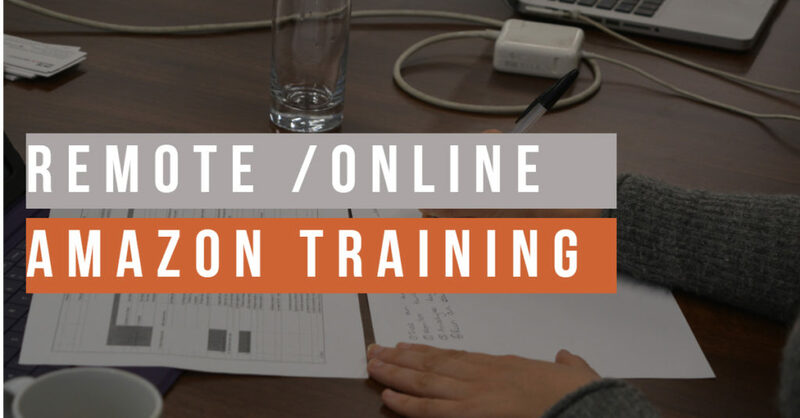 If you are looking to learn more, check out our Amazon Advertising training course and if you are looking for services check out our Amazon Advertising service page. Amazon is an important growth channel for most brands, and with that growth, there is a high demand to maintain the channel with the correct content, reviews and consistent customer support. There are many tools to manage the Seller Central side, but if you are a Vendor there aren’t many tools in the market. No matter what, there is still a need to know what customers are saying about our products on Amazon, and to reflect on them as a brand in the best way possible. At the same time, it would be ideal to monitor customer reviews in real time and respond accordingly. This is exactly what reviewbox does. You can use reviews to upgrade and improve your product. With Reviewbox, we can monitor how quickly we respond and what we’re saying. Reviews are important and have a positive impact on our business. We are at the stage where consumers have stopped noticing the difference between a brand and Amazon brands, just because on the latter product there is a massive amount of reviews. This is why it is important to keep improving your brand perception by reaching out to your customers through reviews and questions. Whilst working our back off to maintain positive reviews we get hit by constant fake reviews. It is impractical to manually monitor all reviews when you have 3k products within your Amazon Vendor account. But with reviewbox you can follow all reviews and see the trend of spam reviews, good or bad and report them to Amazon for removal. When consumers ask questions on Amazon it is important to answer them in a timely manner. Many consumers will go to the questions section with a question in mind, and having answers helps even if they are not going through the purchase cycle. With reviewbox, you can monitor and answer all questions. The ultimate aim for maintaining good reviews and Q & A is to maintain trust with Amazon content. Another problem Vendors face, are content changes that happen without giving you notice. This is because retailers contribute to the product content and many times Amazon takes the changes and reflects for consumers to see. This may not be within the brand guideline and often they may be full of “keywords” without making any sense. To monitor all of these manually is a nearly impossible task, especially with everything else going on with your Vendor account. With copybox you can get notified via email when your content is updated, and you’ll know exactly what’s changed, including titles, key features and product descriptions. Both of these: reviewsbox and copybox are powerful tools for Vendors and they work on all Amazon platforms. Let us know how you found them. It’s not quite 10k, but during December one of the stores we designed and launched recently generated 1k in sales. This is additional sales that we may have never had if we’d not set up the store. If you have never spent time on your Amazon store, then now is the right time. Amazon Stores gives small businesses a bigger spotlight. In the past, Amazon has not given brands their own voice, displaying as little branding as possible which leads many Amazon customers to think all products bought on Amazon are sold by Amazon. However, now with Amazon Storefronts, the scenario has changed. Any customer that follows the “brand” link on your page will be taken to your custom designed and fully branded Amazon Storefront. This seems to be a way for Amazon to get more brands selling on Amazon, who may already be selling via eBay or Shopify. With Stores, the customer gets a much more personal feel from brands, which is great for brand awareness. 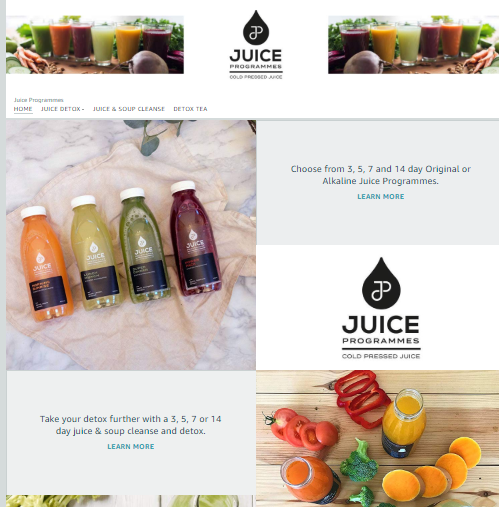 You can include lifestyle images, logos and brand videos. Amazon stores are built on a template and you can plug and play. No need for a developer! You also have access to a range of analytics. NOTE: Amazon stores are only available for brands who have a trademark and brand registry. Amazon Store Analytics shows the sales growth over a period of time, and in December we generated 1k in sales from the store alone. Amazon Store Analytics shows top selling pages and traffic sources. Traffic sources can be organic, driven by advertising or external sources. Advertising is definitely a must; and to promote your store, you can use Sponsored Brands advertising. Sponsored Brands displays your products on the top of the Amazon search result page (SERP) and links to your Store. As Sponsored Brands appears in a key area, it can be 3 times more expensive compared to your Sponsored Products Ads, but is certainly beneficial for pushing your Store and raising brand awareness. Amazon Store Analytics shows visitor numbers and sales per categories. 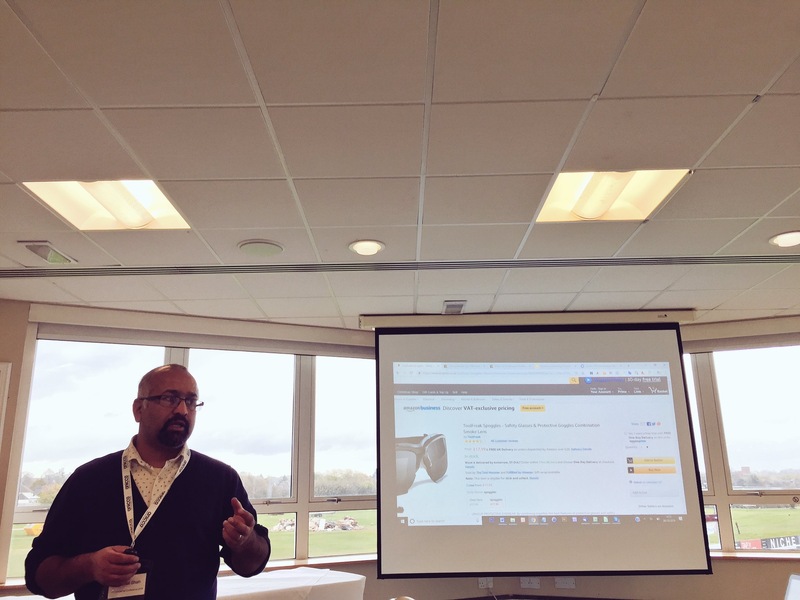 Amazon Stores also allows you to create tags so that when you drive traffic to your Amazon Store via any other external channels like Facebook, Email Marketing etc, you can see where the conversion has come from. As a merchant as long as you are generating profitable sales with less investment of time it is great, and it has been shown that conversion rates on Amazon are much better than conversions from a website. So, if you are a brand, whether newly established or established, this is the right time to get your store designed and increase your sales. Remember, all the time you spend without a store you’re missing out on conversions. 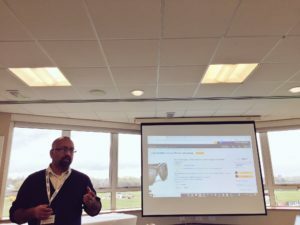 E-Commercial Conference is a one-day conference organised by Anicca, the leading digital marketing agency based in Leicester. It has been running for the last 4 years with an attendance of 200 delegates from across the Midlands and the UK. I had the pleasure of attending this year and had the opportunity to speak with marketing experts representing a wide variety of brands and retailers.